CLAT Vs Christ School of Law: CLAT is one of the leading law exams in India and will remain the king of all law exams for most law aspirants. Christ School of Law is a Private university that offers a vast curriculum of subjects in law and is as exhaustive as courses offered after writing CLAT exam. In the aftermath of CLAT, most students would aspire to become Indian lawyers being Indians. However, Christ offers a more westernized law curriculum though you will still be a lawyer in India after from here. Christ University is more of an international school that though offers law curriculum in a Indian context, it offers a more global outlook. 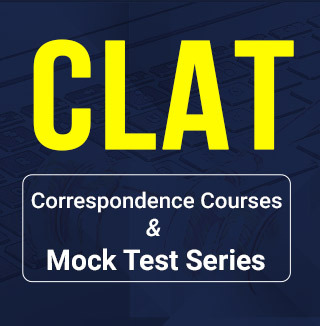 Most students would be comfortable in giving the CLAT exam given the course fees of colleges that are offering law courses after the CLAT exam. Christ Law School on the other hand is a expensive choice for the wealthy few. It is ideal for those who want a global education at college level, while still staying in India. In Christ, even NRI’s are welcome and Christ Law school has a foreign exchange program that allows foreign students from Asia and Africa to study in its campus. This is more unconventional for most law schools that might find only Indian Citizens on an Indian campus. Job opportunities after Christ School of law can be overwhelming as much as CLAT. Not all law schools will offer the glamour that Christ School of law offers. 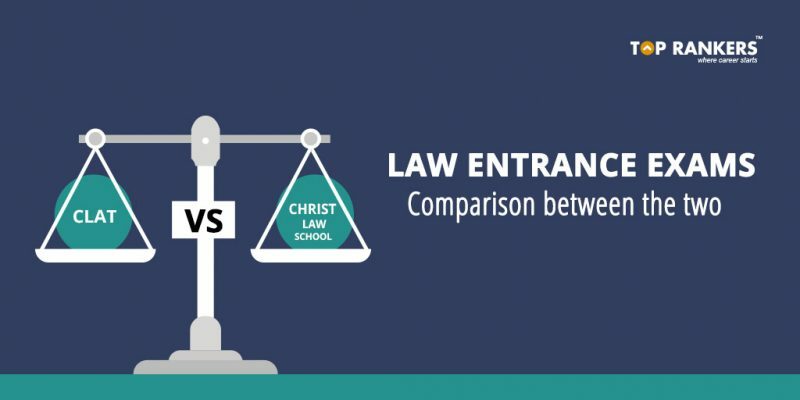 We take a look at law entrance exams offered by both CLAT affiliated colleges and also by Christ university. The exam is conducted for a duration of 2 hours. The CLAT 2018 has a negative marking of 0.25 marks for each wrong answer. 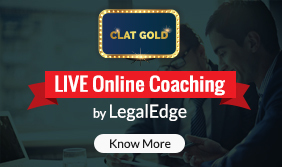 Take online CLAT test series according to the latest exam pattern. The English section tests the candidates’ proficiency in English based on comprehension passages and grammar. In the comprehension section, candidates will have to answer questions on their understanding of the passage and its central theme, meanings of words used in the passage, etc. The grammar section requires correction of incorrect grammatical sentences, filling of blanks in sentences with appropriate words, etc. The General Knowledge will be tested on the general awareness including static general knowledge. Questions on current affairs will consist of national and international current affairs. The Mathematics section will test knowledge of elementary mathematics or mathematics taught at school level till class 10. This section will test candidate’s interest towards study of law, research aptitude and problem solving ability. Questions may include legal propositions, and a set of facts to which the given proposition has to be applied. Some propositions may not be “true” in the real sense, candidates will have to assume the “truth” of these propositions and answer the questions accordingly. The logical reasoning section tests the ability to identify patterns, logical links and rectify illogical arguments. It may include a variety of logical reasoning questions such as syllogisms, logical sequences, analogies, etc. However, visual reasoning will not be tested. CLAT remains the most important law exam in the country and students often prefer CLAT as it offers good career opportunity. 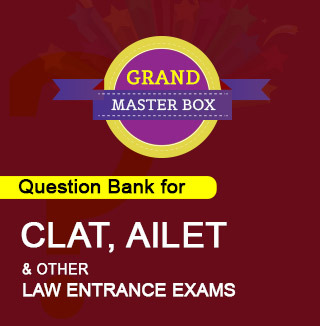 The CLAT has a higher level of difficulty in comparison with most other law exams of the country. CHRIST University School of Law is approved by the Bar Council of India to conduct BA LLB course. The Christ School of Law offers a five year integrated law program that will earn the student a BA LLB Degree from the Christ University. The course also comes with several value added programs and courses that will put the student on par with best standard of legal education imparted by some of the best international universities. Eligibility Criteria for Christ University School of Law: Basic Eligibility is candidate should have passed in Class 12 or +2 with more than 45% in humanities, social sciences, commerce and management and Sciences from any recognized board in India. Students pursuing International Curriculum must have AIU approval and must have grade more than C. Candidate must be below the age of 20 years as on July 1, 2018. Those writing +2 examinations in March-May 2018 may apply with Class 10 and Class 11 results. Selection Process consists of Entrance Test, Skill Assessment, Micro Presentation and Personal Interview. Selection will also involve assessment of previous academic performance in Class 10 and 12. Final Words on CLAT Vs Christ University School of Law: CLAT remains the most preferred choice for most law aspirants. Christ University on the other hand is for students who want a global education while still living in India. Choice, is entirely yours.